December 17, 2015 as the home of The Alamo Drafthouse, boasting a main, 348-seat theater, four additional screens, and a full restaurant and bar with at-your-seat service of local, fresh faire. The transition from a grand single-screen movie house to a modern-day, multi-screen theater was the most significant change to the interior. This was made possible by extending the lower balcony and reconstructing the historic scalloped balcony edge, providing the additional area for three new screens. A fifth screen has been tucked under the dramatic, oblong gold leaf dome suspended below the upper balcony. 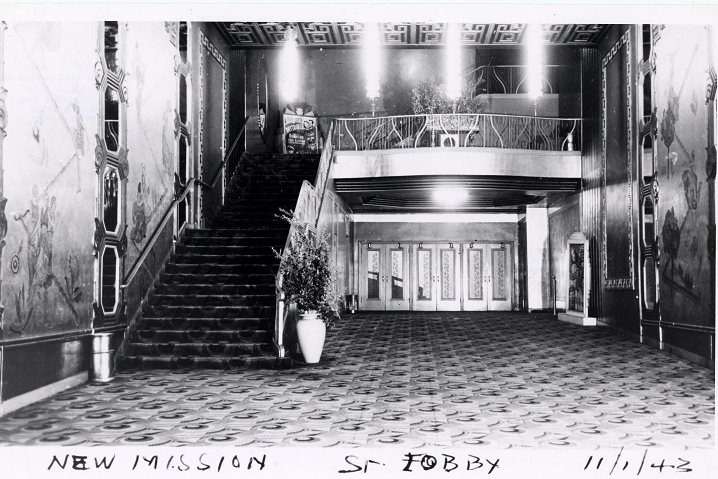 An interior elevator was installed to make the upper balcony theaters accessible to all. 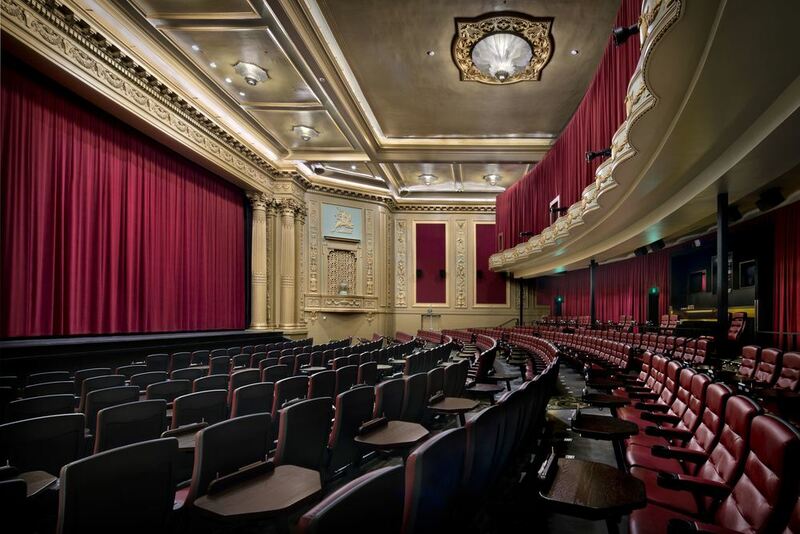 Working with historic preservation consultants, Architectural Resources Group, the original carpet pattern and historic paint scheme were discovered, documented, and matched, allowing the patrons of today to enjoy the richness and elegance that greeted the movie-goers one hundred years before. The landmarked Pflueger promenade lobby was refurbished, complete with cast molds of the bas relief detail, while also providing a full seismic retrofit of the unreinforced brick masonry structure behind the scenes. What was once the projection booth is now a full bar located off of the historic ‘patrons’ lounge,’ offering clientele a place to connect before or after the show. The walls throughout are finished in the original paint colors and gold leaf. Several of Pflueger’s painted murals depicting dancing female figures have been preserved and are on display. 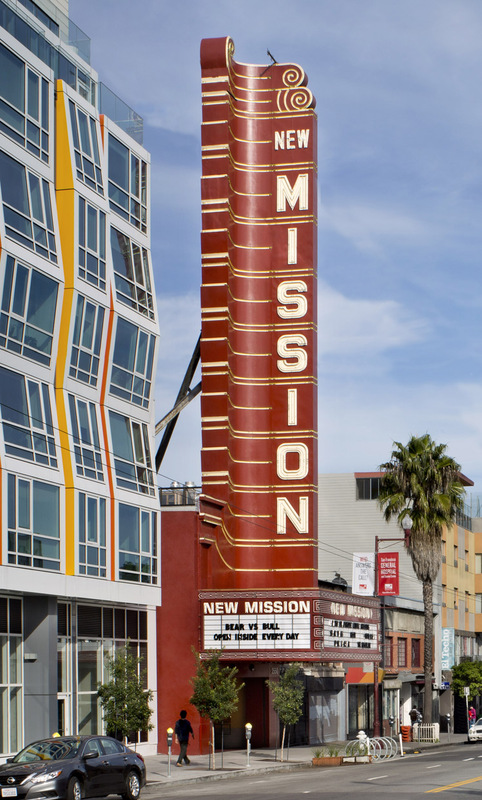 The New Mission Theater, at one time part of the bustling theater district of the 1930s dubbed ‘The Mission Miracle Mile,’ is now more than a pristine, restored historic landmark – it is once again a vibrant, relevant, and important member of its community. Converting an historic residence into a place for active learning. Presidio Hill School is a progressive independent school founded in 1918 for pre-K through 8th grade students. In partnership with Pfau Long Architecture, KMA renovated an historic single-family residence into an elementary school building to expand the campus with classrooms, a library, and offices for faculty and staff. Each room has large windows that provide abundant natural light throughout the day. The expansion provided much needed comfortable and modern learning spaces for students and has allowed the school to stretch its wings and modestly increase enrollment. The project included a 900 square-foot, two-story addition at the rear that houses the staff room and the Center for Progressive Education. The school’s original building and this newly renovated annex have abutting rear yards, which were combined to double the outside play space.